ReThink Health Ventures launched at the end of 2016 to help regional multisector partnerships accelerate momentum and break through barriers to transform health. The Finger Lakes region of New York was one of six communities selected to participate. 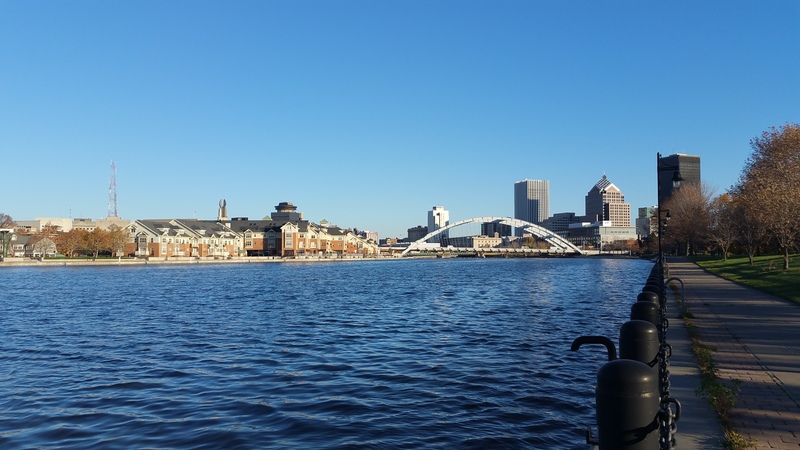 The region includes the large urban center of Rochester and many predominantly rural counties, and is home to almost two million residents. In this environment, our Ventures team set out to support connections among a number of active organizations, including the regional health planning organization Common Ground Health (previously the Finger Lakes Health System Agency), the Chamber of Commerce, the United Way, the Regional Health Information Organization, departments of public health from multiple counties, and the Finger Lakes Performing Provider System—a network of 19 hospitals, and more than 600 health care and community-based organizations. These entities already had many shared projects and overlapping governance structures that created an informal—but constantly changing—network of collaboration. At the same time, in the initial interviews we conducted during the site-selection process, all noted a desire for better operational and strategic coordination to address either duplication or gaps in service, and alignment around goals. At the invitation of Common Ground Health, and with encouragement from the Ventures staff, the leaders of these organizations formed an ad hoc group to explore how they could use the Ventures opportunity to address these needs. As this ad hoc group of executives reflected on the full scope and gravity of the work to be done acknowledging the challenges posed by a constantly evolving landscape of multisector efforts, they concluded that it would be wise to work through current networks rather than build a new organizational structure. They determined that Common Ground Health, an existing multisector partnership, which has been catalyzing innovation in health care for the region since the 1960s and has an established network, could take on an operational and strategic coordination role. The Ventures project emphasizes a learning orientation, and our aim is to share insights widely. For that purpose, we invited Trilby de Jung, CEO of Common Ground Health, to share her perspective about how the stakeholders’ decision to work with an established multisector partnership to accomplish their goals has been playing out in the Finger Lakes. Next week, we will hear from Sherry Immediato, the ReThink Health Ventures coach for this team, who will offer lessons that other multisector transformation efforts might take away from the experience.. The Finger Lakes region has a proud history of innovation and investment in community, thanks to visionary historical leaders such as Susan B. Anthony, Frederick Douglass, and George Eastman of Eastman Kodak. In recent times, however, many of the region’s corporate employers have downsized and economic opportunities have decreased, leading to increased disparities in socioeconomic status and health outcomes in both urban and rural areas. a regional anti-poverty initiative supported by state and local government and the United Way, with broad-based community engagement and support. This multi-faceted regional investment reflects the state’s commitment to innovation, which has had both positive and negative implications in the Finger Lakes region. Additional resources, in dollars and other support, have generated broad conversations about tracking poverty and sharing data, and created new infrastructure for Medicaid providers leading to improvements in service delivery. But the enthusiastic support for reform also has inadvertently resulted in an overabundance of cross-organizational collaborative efforts. These initiatives overlap in membership and occasionally in their activities, and can sometimes feel redundant to participants as well as outside observers. ReThink Health saw the momentum in the Finger Lakes and invited the region to be a part of the Ventures project. The organizations involved in the existing initiatives, including my organization, Common Ground Health, welcomed the opportunity to join the Ventures project. We all embraced the support ReThink Health offered for helping us determine the best ways to coordinate existing initiatives and develop a new health transformation effort. We created an ad hoc group that included leadership-level representation from Common Ground Health for its position as the backbone for the Population Health Improvement Program; the United Way in its role as the new backbone organization for the regional anti-poverty initiative; the new DSRIP entity; the Monroe County Department of Public Health; the business community; and the Rochester Regional Health Information Organization. This ad hoc multisector group got off to a great start. As a team, we quickly hammered out a shared view of the region’s strengths and weaknesses. We agreed that the region was successfully containing costs but failing to reduce disparities, and we reached consensus on a goal of eliminating health disparities while retaining our relatively low health care costs. But once these initial steps were completed, fundamental questions surfaced: Why is a new group needed to speak for health improvement across sectors, if there are already existing collaborative efforts to address the social determinants of health through DSRIP and the anti-poverty initiative? Even if we saw a need for a new group, would key decision-makers in the community see the need for another group? Would it be possible to formulate strategy without creating a new multisector group? Fortunately, the insights of Ventures coaches and the ad hoc group’s discussions coalesced around a relatively simple and elegant solution. We determined that, while the ad hoc multisector group had functioned well initially, one of the pre-existing collaborative efforts might be better suited to operate as the formal multisector partnership that would help to govern the ensuing transformative work. We gathered up the excellent work that the group had done and agreed to pass the baton to the board of my multisector organization, Common Ground Health. Common Ground Health already was recognized as a community-wide convener, with diverse representation from health care sectors (including insurers, hospitals, health care clinics, rural health networks, primary care, long term care, nursing, public health, behavioral health, and health information technology), as well as other sectors such as education, transportation, business, and human services. Common Ground Health’s 24 board members practice the art of “wearing two hats,” conveying both the interest of their individual institutions and the interest of the community writ large. Common Ground Health’s board affirmed the ad hoc group’s decisions, which recognized cost advantages and prioritized the goal of health equity, and enthusiastically took up ReThink Health’s systems change approach to transformation. Each member of the original ad hoc group identified a way to stay involved with the work, either through a seat on Common Ground Health’s board of directors (three members) or through positions with other existing collaborations focused on poverty and community engagement (three members). While this pivot has shifted the way the work is getting done, the task at hand remains unchanged. Thanks to ReThink Health’s support for the initial, multisector group, we have cross-organizational investment in a shared vision for the Finger Lakes and multisector agreement on how to get the work done. The executive committee of the Common Ground Health board formed a subgroup responsible for leading the work. Over the past six months, that subgroup has generated a value proposition that makes the case for transformation and a theory of system change that emphasizes the region’s underlying dynamics. It also developed a proposed portfolio of future initiatives that can drive significant change. Both have been brought to the Common Ground Health board for discussion and refinement. Staff at Common Ground Health are working on a parallel path, creating feedback loops between board members and staff to illuminate the issues that Common Ground Health’s collaborative approach is best suited to address. While our portfolio of initiatives is not yet finalized, it is likely to focus on whole child health, with an emphasis on integrating health and education services in the first 1,000 days of life. In addition, we are investing in a new health equity assessment to explore the economic costs of health disparities, structural racism, and rural poverty. Ideally, it will also map health outcomes against new data on social determinants of health, including housing conditions, transportation, safe play spaces, and access to healthy foods. Moving forward, we will continue to have ongoing conversations with the leaders of the initiatives our partners are leading, from DSRIP to the Health Information Network and the projects of the anti-poverty initiative. Looking back, I can see that the abundance of cross-organizational efforts already in place in our region complicated work for the original ad hoc group. The immediate demands of current initiatives narrowed people’s ability to embrace a new initiative that did not yet have direction and where responsibilities and leadership were shared but not clearly delineated. Yet, the abundance of cross-organizational efforts has also broadened the vision of Common Ground Health’s board members and staff leaders, most of whom are engaged in some way with each of these pre-existing initiatives. Common Ground Health is now positioned to capitalize on existing infrastructure to support strategic planning that embraces the current landscape and is truly geared to systems change. In the Finger Lakes, health transformation is in sight.